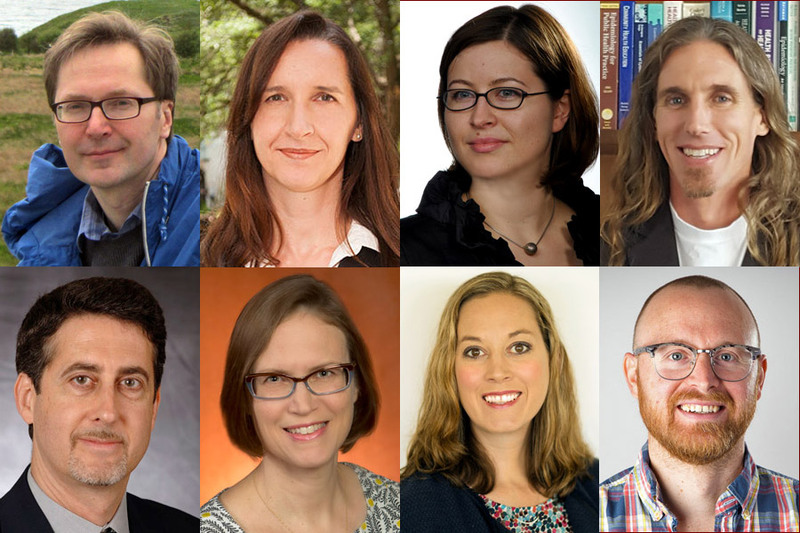 Florida State congratulates Igor Alabugin, Iris Junglas, Katarzyna Bugaj, Christopher Coutts, Joseph Schlenoff, Anne Barrett, Miles Taylor and Micah Vandegrift for earning Fulbright Scholar awards. The Fulbright scholars will head out during the 2018-2019 school year to locations around the world to teach and conduct research in the United Kingdom, Ireland, Poland, Malawi, France, Italy, Canada and Denmark. Igor Alabugin, the Cottrell Family Professor in the Department of Chemistry and Biochemistry, has received a Fulbright U.S. Scholar award to lecture and share ideas at universities in the United Kingdom. Alabugin’s Fulbright plans will include collaborations at the University of Sheffield, where Nobel Laureate and former FSU Professor Sir Harry Kroto earned undergraduate and doctoral degrees in chemistry. Alabugin said he’s looking forward to venturing into a new field of research and exploring the rich scientific and cultural heritage of the British Isles. Iris Junglas, associate professor in the Department of Business Analytics, Information Systems and Supply Chain, has received a Fulbright U.S. Scholar grant to conduct research in Ireland on the Internet of Things (IoT). IoT is a network of billions of devices, including electronics, home appliances and cars, that are connected and able to share data. Junglas will work with scholars at Maynooth University outside Dublin, Ireland, to study how the Internet of Things is reshaping cities and companies. Katarzyna (Kasia) Bugaj, assistant professor of string music education in the College of Music, has been awarded a Fulbright U.S. Scholar award to conduct research at the Fryderyk Chopin University of Music in Warsaw, Poland. Bugaj said she will study the teaching tradition of late violinist Tadeusz Wronski. Bugaj plans to spend time researching the original writings of Wronski for a future book. Christopher Coutts, associate professor in the Department of Urban and Regional Planning, has received a Fulbright U.S. Scholar grant to teach and conduct research at Mzuzu University in Malawi. He will conduct research aiming to advance understanding of the relationship between nature conservation and people’s health in developing countries. In addition, Coutts will present a series of lectures on the myriad health benefits of land conservation. Joseph Schlenoff, Robert O. Lawton Professor of Chemistry and Mandelkern Professor of Polymer Science in the Department of Chemistry and Biochemistry, has received a Fulbright U.S. Scholar grant to conduct research at the University of Strasbourg in France. Founded in 1536, the University of Strasbourg is the second-largest in France and has produced 18 Nobel Laureates, including many chemists. Schlenoff, whose research focuses on developing ultrathin films that repel water and other corrosive substances, calls the research opportunity an honor. Anne Barrett, professor of sociology and director of the Pepper Institute on Aging and Public Policy, has been awarded a Fulbright U.S. Scholar grant to conduct research at the University of Trento in Italy. Barrett, who has frequently taught at FSU’s Florence, Italy, academic program during summers over the past eight years, will conduct research focusing on how Italy’s rapidly aging population — now among the oldest in the world — has affected the health networks providing paid and unpaid care to older Italians. Barrett said her international teaching experiences have given her a more global perspective on aging issues. Miles Taylor, associate professor in the Department of Sociology, has received a Fulbright U.S. Scholar grant to teach and perform research at McGill University in Montreal, Canada. She will work with Professor Amélie Quesnel-Vallée, an expert on international health care systems and health inequality. The research, using secure data from Canada’s National Population Health Survey, will compare health and aging in Canada and the United States. Taylor wants to investigate why health inequality develops over a person’s lifetime based on education and income in Canada. That data will help show whether Canada and the United States share similar trends. Taylor met Quesnel-Vallée in graduate school and learned the pros and cons of the Canadian and U.S. approaches to health care. Taylor said their respective expertise and interest in gerontology and health care will make for a “great meeting of the minds” on this research project. Micah Vandegrift, formerly FSU’s director of digital scholarship for University Libraries, has received a Fulbright-Schuman Innovation grant to research open science policy at Maastricht University in the Netherlands and at the Royal Danish Library in Copenhagen. Vandegrift recently left Florida State to join the library at North Carolina State University as its first Open Knowledge Librarian. Vandegrift will research how science and education policies of the European Union affect the work of research librarians, and he will join a national Digital Humanities working group exploring technology infrastructure for new research methods. Vandegrift also plans to develop a “policy-to-praxis” toolkit with colleagues at host institutions. “Librarianship is an applied discipline, so I intend for my research project to feed directly into a resource that can be utilized immediately,” he said. While he will fulfill his Fulbright opportunity as an employee of NC State, Vandegrift credits Florida State’s Office of Faculty Development and his time working for University Libraries Technology and the Digital Scholarship department as formative and critical to having won the fellowship.